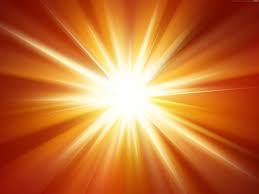 The light God shines forth in Jesus Christ changes everything... This is good news indeed. Startle us, God, from our busyness and routines. Show us how very close your Kingdom is. Deliver us, God, from faith in our own strength. Free us from the traps of violence, dishonesty, and greed. Jesus says, “Receive the good news from God!” Embolden us, God, to trust you anew. For we are as fragile as breath, and draw our strength from your mercy and compassion. Loving God, in this season of Epiphany, your kingdom has drawn close— so close we can almost touch it. Help us see that we already live under your rule of peace. May our worship today draw us closer to you and to one another. God, we know that you alone are unshakable. You alone are our stronghold and our refuge. You deliver and glorify us, yet we fail to love and glorify you in return. We live as if we can save ourselves, as if we can be our own stronghold and fortress against the storm. Yet we are fragile as breath. We are consumed by our desires to succeed and dominate. We blindly strive to get our way, and are greedy for all sorts of wealth. And so, we confess our failings to you and to one another, trusting in your forgiveness and your grace. Amen. Beloved, God repays us according to our deeds, and yet in Jesus Christ, we have nothing to fear. Trusting God with everything, we rest in God’s faithful love. Allowing Christ to change our hearts and our lives, we find God’s strength and hope. God alone gives us peace, a peace that is trustworthy and sure. Greet one another with the good news of peace in Jesus Christ. In the service that followed we worshipped in practical ways, the announcements giving evidence of our Christianity lived out in our church and out in the world and the offering our worship with our gifts for God’s work around us. course in the case of the people of Nineveh the threat of dire consequences motivated their jump to action but even though there was no threat to the fishermen to whom Jesus spoke, in each case the people involved knew they had heard the voice of truth. I have always wondered about the response of those fishermen. They were poor enough, making a regular income, so why were they so ready to give that up for no guarantee of income at all? And what about their families? My only conclusion has been that Jesus’ word carried with it such authority and truth that the men had no alternative other than to obey. 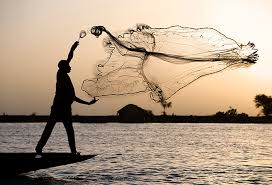 When Jesus spoke to those fishermen, he promised that they would fish for more followers. That is Jesus’ word of truth to us, but have we responded as quickly and as wholeheartedly as did the fishermen? Have we risked all for the only thing that matters? When people see us, when people hear us, when people interact with us…are they able to “Read all about it?” Does anyone even know we are followers of Jesus of Nazareth? And are we so convincing that anyone would ever act with such quickness as the people of Nineveh did? Of course, God allows for our less than stellar performances. God can speak in other ways to anyone who is seeking the truth, but we do have our part to play. But only asking for me to follow. You know full well my possessions. O Jesus, you have looked into my eyes; kindly smiling, you have called out my name. On the sand I have abandoned my small boat, now with you, I will seek other seas. Go forth and share the good news from God. God rewards us and our deeds, not with doom, but with mercy. In circumstances both difficult and joyful, God remains our place of safety. Go forth and proclaim God’s kingdom. The world as we know it is passing away. We belong to God’s kingdom, which is coming and now is. Now is the time to be the good news. We go forth to tell the world the good news of the strength and mercy of our God. Today I led the service myself, with other people contributing at various places in the service. I chose the hymns to complement the read and spoken word, so more space will be given to them than is usually so. There are many facets of hymns that influence us. Of course, good Hymns are written to convey a message of significance to people of faith but the music to which they are sung does more than enhance the message and underpin the emotional impact. The tune cements the hymn in our memory, for retrieval in times of need. And so when the hymn with its message is called upon it returns, with the tune, contributing to the impact it has upon the heart and mind of the one who knows it. After acknowledging the original carers of the land and giving thanks for the care they showed for the land, we called on God to open our ears and minds to the presence of the Divine so that we would be sure that what we say, hear, think and do is of God. O God who is wisdom, light and love. God who creates and enlivens all that is, or could be. Our need is great but your gifts are without end. As we listen for your call, may we be attuned to your voice. What do we do, when God calls? What do we do? Wake up. Listen. Act. Hymn TIS 161 “Tell out my soul, the greatness of my Lord.” Lyn led us as our hearts swelled and we lifted our voices in this great hymn. I remember reading an article by someone who was reminding us to look and act as though our lives were secure in God’s hand. Let others know. All seeing God, how foolish we are to think we can hide our failings from you. We fail to see our bodies as sanctuaries for your Spirit. We get drunk on the seductions of our society, while daintily sipping at your living water. We doze under the tree of temptation, hoping you won't see us and expect us to get up and follow Jesus. Lord, you call, but we do not always recognize your voice. 1 Samuel 3: 1 - 20. John 1: 43 - 51. These were about people being called by God. God called Samuel and at the same time delivered a message to Eli that his leadership was coming to a close. In John, Jesus called his disciples. In all of the above, all those involved simply accepted the message, and obeyed. Reflection - In delivering the reflection the focus was kept on believing that God knows what is best. and when your light shines on us, there is joy in seeing and discomfort in being seen. Hymn TIS 658 “I the Lord of sea and sky” Our affirmation that we accepted the message of the story of Samuel and Eli and the calling of the disciples. This Sunday is the first after the Epiphany. An epiphany is an experience of suddenly becoming aware of new knowledge or, as some would say it, a time of gaining new light. And the glory of the Lord is risen upon us. That is, Jesus is the source of all knowledge, all understanding. The response to that could be: “Knowledge and understanding of what?” The answer to that is not quite straight toward because while it could be said that it is knowledge and understanding of the important and fundamental issues, that would miss the mark. If we think about the “light” itself instead of any subject, we approach the meaning more closely. Jesus bestows upon us, a state of being in which we perceive ourselves and the way we operate in this world, in a totally new way. A way defying description. A way which only makes sense to those who have opened themselves to its experience. We can speak about the above in different ways. We may pray that we will act in a God-like way. We may be constrained to show friendship to the friendless and operate from a place of love but whatever we ask for, or pray to be it all comes down to God’s light acting through us. “These men from the East journeyed to Jerusalem and asked, “Where is the one who has been born king of the Jews? We saw his star in the east and have come to worship him”. Their experience brought them joy and when we experience something similar it is very difficult to tell someone else why it has been on a different level from other experiences. We approach the Table of the Lord. We can remember what happened for the wise men – the light, the insight, the epiphany. It happens, in what we do here at the Communion Table. 1. The Epiphany of the World. From out of the world, God’s created creatures - we take ordinary things – bread and wine but in this sacrament they take on a special meaning – they represent the body and blood of Jesus. 2. The Epiphany of the Word. We take the Word of God as the authority for what we do. The words of institution given by St Paul who quoted the very words of Jesus, his very instructions to obey -Take Bread, take wine – do this in remembrance of me. Here O my Lord, I see Thee face to face. 4. The Way ahead. 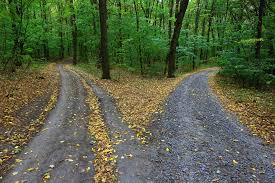 We go from here a new way, because our direction is more clearly set for us, having been with Jesus, who now goes with us into the unknown way, the New Way. The commonplace, our everyday life, is shot through with the glory of God, And it is right here to bring us into fellowship with our Living Lord. So how is it with us?. Is that our experience, or do we struggle each day to be better Christians? Is the commonplace shot through with the glory of God? Are we in fellowship with the living God? Think hard upon those questions. Isaiah 61: 10 - 62:3; Galatians 4:4-7; Luke 2: 22-40. From the lips of children and infants, you ordain praise and thanksgiving to silence the foe and the avenger. You make everything beautiful in its own time. You set eternity in our hearts, yet we cannot fathom what you have done from beginning to end. What could be better than to be happy and to do good while we live? O God, our God, you are Alpha and Omega, the Beginning and the End. We come to you today, God, the Alpha and the Omega, as people blessed by your tender care. Today, we come to seek your guidance, that we may better understand how to follow the teaching of Christ, our Lord and Saviour, in whose name we pray. Amen. I have begun by including the beginning of the service as Rev. John delivered it because it evokes a true and vivid sense of what Jesus of Nazareth did for the world. The world as God created it was a wondrous place but the flawed nature of people means it has been reduced to something not at all like what was intended. If we look at photos or are fortunate enough to visit places untouched or relatively untouched by humans, we see what could have been for us all. 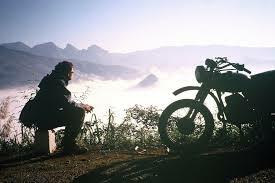 Not that we should have remained living as nomads necessarily. There are places where the built environment is beautiful because it has been put together to complement the natural environment. In places like that care is taken to maintain the total environment in a healthy state. The population there see themselves as stewards, who have a responsibility to the natural and built environments to keep both in a healthy state and in a state that supports whole living by people. Such people also see themselves as being responsible for each other. There was a “big blow” in the NSW North Coast town of Maclean yesterday. I have an elderly sister-in-law living there and was anxious to contact her but her phone didn't work. The first phone number that worked was for the pub across the road from where she lives. They were able to assure me that she was safe and well because they had gone over to check on her and her house. The church isn't the only place to find loving people who look after their community. Another word about Maclean. There isn’t any litter. When I commented in this, I was met with a question about why there would be any if the residents don't drop any. Some of us know how to care for what we have that is a good gift from God. Our relationships need nurturing too. At any given time in our lives we have many different types of relationships of varying levels. Relationships develop in different ways: work, neighbours, church, sport, or a myriad of other interests. Usually the relationship is established before we notice, but then if we value it, we must show care for the other/s involved. Otherwise, in all the above situations, we will find ourselves spoiling something about which we should be shouting the praise that is at the beginning of this blog. But the greatest gift we have been given is the invitation to dwell with the Creator, but we have to say “Yes” to that invitation and we need to care for that relationship on a daily basis. Otherwise, we will lose the sense of our connection and drift away, and look elsewhere when we need help instead of to the author of Love and Peace.